Hydaelyn─a vibrant planet blessed by the Light of the Crystal. Amid azure seas, encompassing the westernmost of the Three Great Continents, there lies a realm embraced by gods and forged by heroes. Her name...Eorzea. It is here that your tale unfolds. 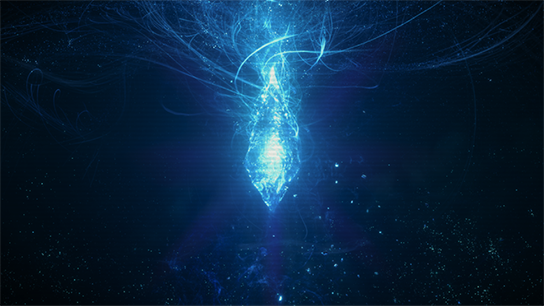 Beckoned by the Mothercrystal─the source of all life─you must embark upon a quest to deliver the land from an eternity of Darkness. 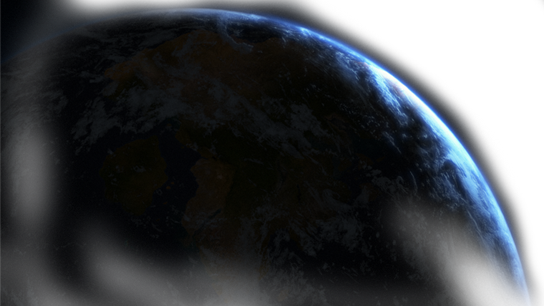 Since time immemorial, this verdant planet has seen the births of lives uncounted. But the land now bears grievous scars, and threatens to slip into a gaping maw of death and darkness. You who would heed the whisperings of the aetheryte and take up the mantle of "adventurer." This is your journey—a new tale to echo down the ages. 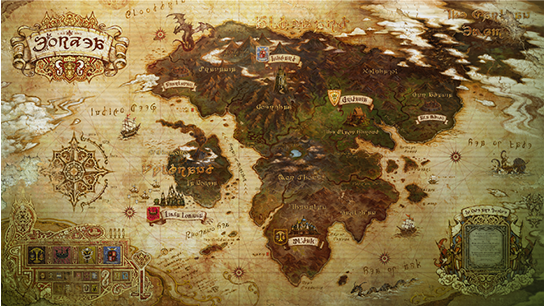 Comprised of Aldenard, the westernmost of the Three Great Continents, and its surrounding islands, the realm of Eorzea has been the cradle of several unique civilizations throughout history. Towering mountains dominate the north, their peaks forever lashed with icy winds; to the south, a bleak expanse of unforgiving desert holds sway. Yet these inhospitable lands hold irresistible lure for man and monster alike, for wide and deep flow the currents of aether, and rich are the veins of power-infused crystal. In this harsh though vibrant region, the people of Eorzea have carved out their histories—a cycle of prosperous Astral and disastrous Umbral eras. The First Umbral Era brought an end to the age of the gods, and there have been six such eras of calamity since the First Astral Era ushered in the age of man. Each of the Umbral catastrophes has, in turn, borne the characteristics of one of the six elements. With all the elements now represented, it was believed the current Astral era would last into eternity. But in the seventh verse of the Divine Chronicles, Mezaya Thousand Eyes prophesized a less fortunate fate. The "senary sun," or Sixth Astral Era, would indeed end, and the "septenary moon," or Seventh Umbral Era, would cast its shadow upon the land. The life of an adventurer is the pursuit of fortune and the pursuit of fame. It is the devotion of oneself to seeking out danger and glory wherever they might lie. It is an endless quest taken up only by the most intrepid and dauntless of souls. 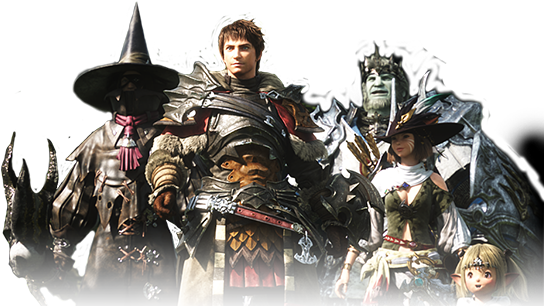 The term came into popular use among the people of Eorzea little more than a decade ago. Left idle by the onset of the Age of Calm, a leading mercenary officer gathered to his side a number of trusted companions, and together they formed a guild dedicated to the common cause of aiding the realm at large. Outside the modest station of their humble beginnings, a simple sign hung for all to see―Adventurers' Guild. realm's great nations. It is here that Eorzeans come with their myriad pleas and requests, and here that adventurers heed the call, whether it be the slaying of some foul beast plaguing the countryside, or the crafting of fine wares demanding a master's touch. What greatness lies in store for you, adventurer? "PlayStation", the "PS" family logo, the PlayStation Network logo and "PS4" are registered trademarks or trademarks of Sony Interactive Entertainment Inc.